There are a lot of companies vying for your business in the currency transfer industry. For years, the market was dominated by old players like Western Union and Moneygram. But the new technologies of the past couple of decades have seen new takes on old business models. This brings about competition and innovation, which almost always favors the consumer. Today, it’s cheaper and more convenient to change currencies when traveling or sending money overseas. One of the best new companies to emerge out of a crowded pack is Transferwise. I tried Transferwise. Here’s how the experience went. Transferwise is an excellent all-around choice for online money transfers. The Facebook-powered sign up is easy, the quotes are completely transparent, the prices are cheap for both small and large transfers (almost never passing the 1% except specific destinations), and most importantly – clients are happy. We have several positive testimonials on our websites, and 18,000+ 98% positive reviews spread across client review platforms. 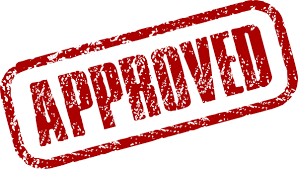 The holy trinity of trustworthiness, effective pricing and client satisfaction is fully achieved with this company. Of all the currency transfer companies I signed up with, Transferwise was in a class of its own in terms of convenience. This is because I could initiate my account by linking it directly to my Facebook account. With literally the click of a button, my account was in operation. There was no digging around for my passport, no SSN to reveal, no request for a picture of a recent bill. It just…worked. For those who don’t want to link to Facebook (or Google+), signup is not much more difficult, with only minimal information required. One of the most difficult parts about reviewing these companies can be getting access to exchange rates. Usually it’s necessary to call a company and speak to a dealer. With Transferwise, you can call if you want (to offices in the US, UK, Germany, Spain, and Australia), and you’ll be greeted by a friendly representative. But you likely won’t have to call. Remember, this is a company started by the creators of Skype. This is about getting things done through web and mobile technologies. Young customers don’t expect to have to call, and Transferwise works to see to it that you don’t. Accurate quotes, including fees, are available even before you sign up with Transferwise. Want to know what you’ll pay? Just visit the site and use their real-time exchange rates and fee calculator for all currencies they serve. This is different than exchange rate tools you’ll see on many competitors’ sites, which list International Bank Rates but don’t actually tell you what you’ll pay through the company you’re researching. Not so with Transferwise. They make their rates and fees accessible to all, and all numbers are good for 24 hours, giving you time to shop around if you wish, without having to worry that you’re missing out on a prime rate. For the purposes of these articles, I checked every company’s exchange rates of US Dollars to British Pounds Sterling. On the day in question, Transferwise offered me a .6513 Pounds Sterling per US Dollar. This rate did not change according to how much money I offered to transfer, though the fees did scale according to the quantity being transferred. For example, a $2,500 transfer to England would cost $24.75, or $3 to send $200, $362.46 to exchange $50,000. I notice that until you reach around $10,000, the fee remains just lower than 1%, with a minimum $3 for up to $300. For amounts above $10,000, the fee hovers somewhere between 0.5% and 0.8%. Transferwise also offers small discounts if you accept 4 to 5 days for delivery, rather than their standard 2 to 3. At these prices, Transferwise falls somewhere in the middle of the pack in terms of exchange rate value. Fees, however, can rack up, so there are certain transfer amounts which will be cheaper to send through competitors. In general, users will find themselves weighing price and convenience when considering Transferwise. In my experience, Transferwise is a site and mobile application that work exactly as they should. There’s a sense of security throughout the process. Customer service is responsible and friendly. The company enjoys an excellent reputation. For these reasons, Transferwise is earning itself a firm place in the currency transfer landscape, regardless of fees that may be higher than others’. I would recommend Transferwise to two specific kinds of customers: 1) The customer who wants the most convenient experience, and 2) The customer transferring small sums. For customers simply seeking convenience, Transferwise may be the best choice. They’re one of a new generation of companies that understand it’s not necessary to be the best value to get a lot of business. People will pay a little extra to use a service that is as simple to use as possible. However, it’s not worth it to transfer large sums through Transferwise, and there are many good alternatives for these customers. But for those seeking the most convenient, easy-to-use service, Transferwise may be that. For customers sending small amounts, Transferwise is about as good as anyone, with the added benefit of being very easy to use. Many competitors have minimum fees of $5 or $10, meaning that it’s impractical to use these services for small payments. With Transferwise, even a transfer of $1,000 (USD) is still beneath that $10 threshold, meaning that this is an excellent fee structure for small transfers, with exchange rates of moderate value. Again, transfers of less than $300 have a standard $3 fee. There’s not much more to say. 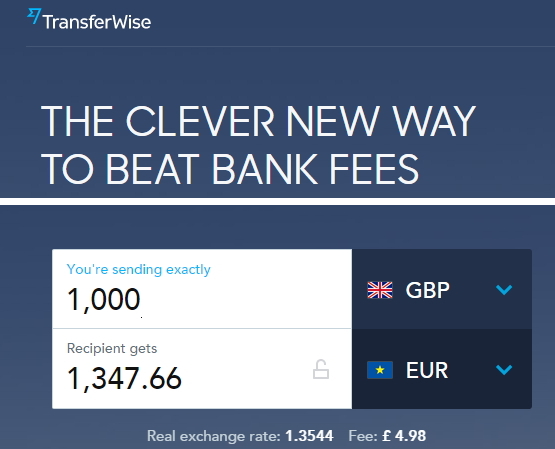 Transferwise works, it’s easy to understand, and people like it. A sterling reputation through Trustpilot and other review aggregators reveals that this is a business that’s gaining a lot of positive attention. I hope that if you try Transferwise, you have the same experience.